Start off your visit on the 17th (Sat): identify plant and animal life at Anggardsbergens Naturreservat, then tour the pleasant surroundings at Southern Goteborg Archipelago, and then get to know the fascinating history of Haga. 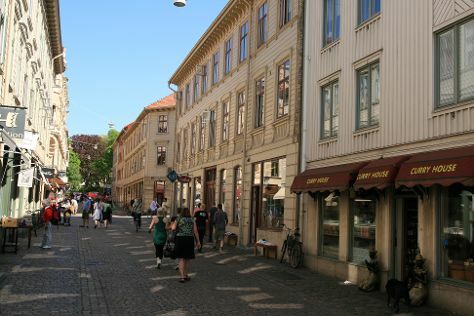 For reviews, ratings, more things to do, and more tourist information, use the Gothenburg trip itinerary maker site . If you are flying in from India, the closest major airport is Gothenburg-Landvetter Airport. In March, daily temperatures in Gothenburg can reach 7°C, while at night they dip to -1°C. Finish your sightseeing early on the 17th (Sat) to allow enough time to travel back home.